Making your home and office paperless is important. Unfortunately, there are times you need the best all in one printer in 2019 to get a job done. You might need to print, scan, or copy a document. This is where the all in one printer comes in handy. You can scan important documents to send via email, saving on paper. Certain businesses still use fax as not everyone has workstations and the internet at home. With the right AIO, you can even fax documents if needed. You can hook up the printer wirelessly to connect to your home or business network and even connect mobile devices. They are convenient to have and with all the printer brands available, they offer you endless options. If you are in the market to buy the best AIO printer, we recommend you browse through our 2019 list to find one. Get yourself the best all in one printer available in 2019 here – and start making your business and home paperless. 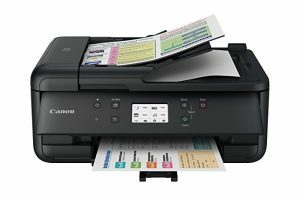 If you need a printer to meet all your needs from faxing to scanning, the Canon PIXMA TR7520 is affordable and capable of handling all your work at home. The unit has a five-color ink system with loads of connectivity points. You can connect all your favorite devices from your PC to your Smartphone for the best wireless experience ever. The systems​ are easy to use and offers you outstanding features. The PIXMA TR7520 all in one printer is simple to set up and easy to use. The great thing is the device prints, copies, scans, and fax documents/images outstanding. You can connect it to your PC, Laptop, Smart devices without using cords and done wirelessly. In addition, you can print from multiple devices as simple as that. 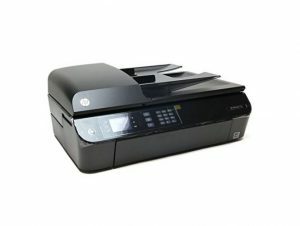 If you want to print photo’s you need the HP OfficeJet Pro 8720 that copies, scans, and prints in high-definition color. You can print wireless, do two-sided duplex printing, and AirPrint. There are an intuitive touch screen and ink ready. 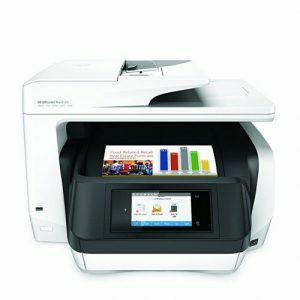 Print from anywhere using your smart device or do direct wireless printing without using a network. When you buy the HP 8720 pro, you get an instant black ink ready cartridge with Cyan, Magenta, and Yellow cartridge, the power cable, and Ethernet cable and setup guide. HP backs their product with a one-year warranty and the printer prints in a 1200 x 1200 resolution in black and 4800 x 1200 in color. 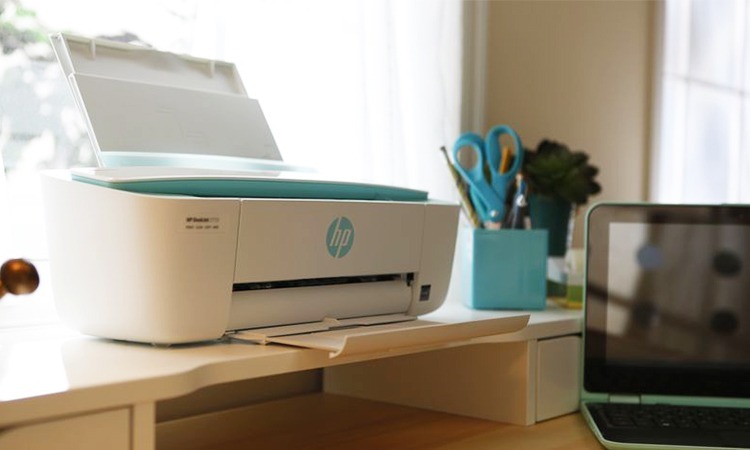 For a multifunctional printer for wireless color printing from your smart device, HP has one to meet your needs. 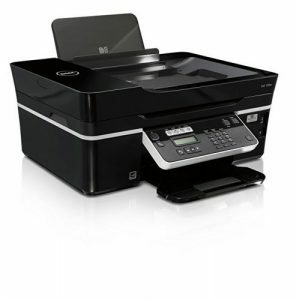 The OfficeJet 4630 AIO model offers you copying, faxing and scanning. Use it at the office, or at home and quickly send professional-quality documents to anywhere. There are built-in Wi-Fi connectivity and automatic duplexing. Now you can print photos and documents from anywhere without being at the printer. 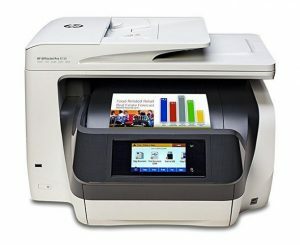 For the best all in one printer, the HP OfficeJet is a fully functional model with great features. The auto-document feeder, dedicated fax machine, cloud printing, and duplexing is a big help for any office. Nothing stands out more than the Hewlett Packard Photosmart 5510 all in one printer does. This workhorse produces ISO speeds up to 11ppm when printing in black and 7.5ppm using color. You can copy up to 600 dpi black text and graphics as it has a scan resolution of 1200-dpi with a maximum scan size of 8.5 x 11.7-inches. Do wireless printing and print photos for your album. 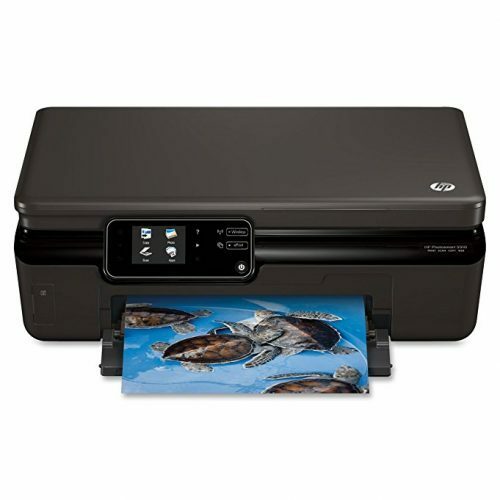 If you need an all-in-one printer with reliable performance and great speed, the HP Photosmart 5510 is the one. Compared to our other models reviewed this one might not be technically advanced but has a touchscreen and offers you a wireless connection to use in the office or home. With the Epson Expression ET-2550 EcoTank Printer, you can enjoy cartridge-free printing. Why, the package includes two years of ink when you buy the printer. With the ink cartridges provided, you can print up to 4k pages in black and 6,5k pages in color. The great thing compared to our previous HP printer you can connect to different devices and use the built-in wireless connection to do over the air printing. 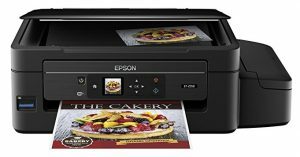 The Epson EcoTank ET-2550 is a multifunction printer that scans and prints. Replacing the ink is cheap, but with the included ink cartridges, you can save on printing costs for two years. The downside is for the price it lacks a fax, has no Ethernet or a document feeder. For the medium-sized office or home, the HP OfficeJet Pro 8730 is perfect to get any printing job done. This is the best all in one printer you can buy in 2019. You can copy, fax, print, and scan with the D9L20A and prints up to 24ppm black and 20-ppm color prints. With the one pass, you can do two-sided scanning and printing, and mobile printing. The HP OfficeJet Pro 8730 AIO printer comes with an HP 953 Black, Cyan, Magenta and Yellow ink cartridge, power cord, phone cord, setup poster and a one-year warranty. Furthermore, you receive HP Dropbox, HP Google Drive, and Microsoft DotNet software included. With the Dell V515w, you can print, copy, fax, and scan documents at the office or the home. This is one of the best all in one printer and not as affordable as our previous models but packed with features. You get a fast printing speed with an automatic document feeder that sends through 35 pages quickly. Save power with the Eco Mode or connect different devices via the built-in wireless 802.11b/g. When you buy the Dell V515w, you receive a user guide, power cord, standard color cartridge, standard black cartridge, hardware recycle program, USB cable, and a one-year warranty. Not only does it have impressive black text output speed the auto-document feeder works super fast as well. 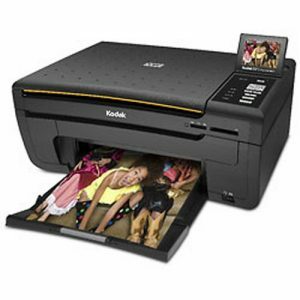 For a top all in one printer, the Kodak ESP-5 models priced affordably. This two-cartridge system prints quality KODAK 4 x 6 borderless photos in 30 seconds. You can print up to 30 pages per minute in black and 29pps in color. There is a 3-inch LDC color display and has a memory card and USB slot. With the included software, you can automatically create separate images. For exceptional color photo printing with an attractive design, nothing stands out more than the KODAK ESP-5. The LCD screen is superb and the Home Center software is easy to use. The downside compared to the Canon PIXMA TR7520 all in one printer, the KODAK is expensive and offers you less than the Canon sold at an affordable price. 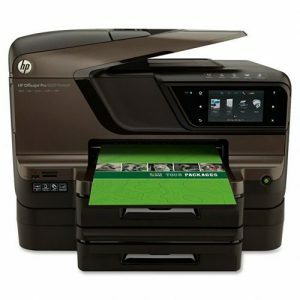 Now if you do have the money to spend and need the best all in one printer, look at the HP OfficeJet Pro 8600 model. You can print, scan, copy, fax and do wireless printing via AirPrint. Furthermore, the copier can do two-sided duplex printing and has an intuitive color touchscreen. For professional photo printing and documents, the HP OfficeJet 8600 Plus gets it done right all the time. The device is packed with features and offers you versatile wired and wirelessly connectivity options. The auto-duplexer, legal-size scanning bay and cloud printing make this a great printer to own. The Kodak HERO 9.1 has a sleek and intuitive design with a 4.3-inch color touchscreen. You can copy, fax, print, and scan documents with this workhorse. Connect different devices wirelessly and use the print on the go with the Google Cloud Print app. Another standout is the auto two-sided printing and the Smart Sensor Technology automatically detects the paper size. For low-cost printing per page and double paper, feed trays the Kodak HERO 9.1 comes highly recommended. 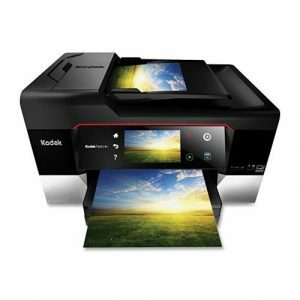 The touchscreen is super functional and the printer reaches top printing speeds. The only downside is the tri-color ink tank costs a fortune to refill over time. If you need a multifunctional printer, try one of the best all in one printer in 2019 available here. We hope that our review helps you to find an affordable one to fit in with your budget. Whether you need to print, scan, and copy or fax each of these AIO printers is sure to please you. The nice thing is they even offer you wireless connection.